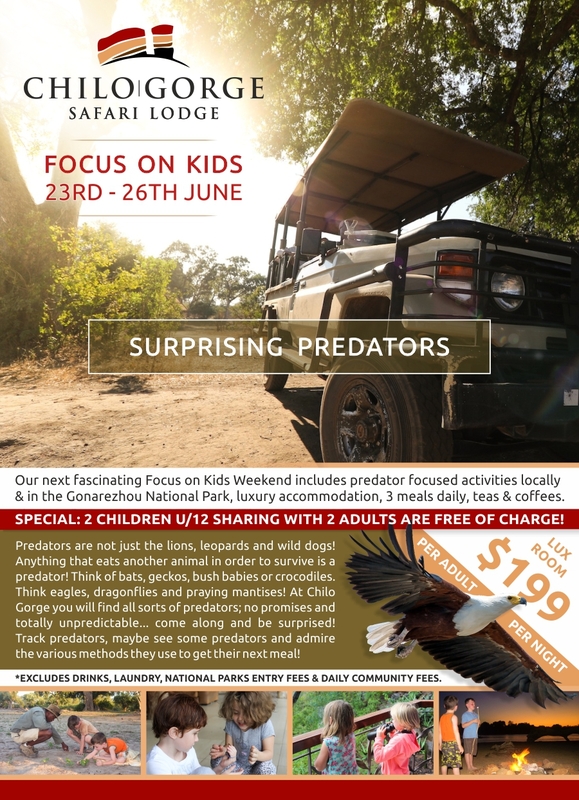 Our next fascinating Focus on Kids weekend includes predators focused activities locally and in the Gonarezhou National Park, luxury accommodation, 3 meals daily and teas and coffees. Special: 2 children under 12 years sharing with 2 adults are free of charge. Luxury room $199 per adult per night, excludes drinks, laundry, National Parks fees and daily Community fees.